Québec solidaire members vote to fuse with Option nationale. “In our founding principles, we say the national question must belong to the population of Quebec as a whole, including the indigenous peoples and persons of every origin, and not to the political parties. “What makes the Constituent Assembly radically democratic is precisely that it directly involves the people in the foundation of a new state, given the perspective of independence. But… it must be clear from the beginning that the question of independence will be posed in the [subsequent] referendum [to approve the new constitution]. If there is a lack of clarity during the constituent process, the debates will be confused: are we writing the constitution of a province, of a country, both at once, one or the other separately? That is why we must know clearly where we are heading. This article was first published on Fidler’s blog Life on the Left . This fusion should allow all progressive independentists in Quebec to work within a unified party that will spearhead the promotion of Quebec independence. This union takes place therefore on the basis of the program, the founding values (independentism, democracy, ecologism, feminism, pluralism, progressivism, global justice) and the statutes of Québec solidaire, but will preserve the spirit and visibility of the constituent aspects of Option nationale, which is summoned to become a collective in the unified party. In the current political context, a reconciliation of the independentist and progressive forces is more necessary than ever in order to reunite the conditions for our exit from the Canadian regime and to enable the social agenda that Quebec needs. In view of the history of Quebec society and today’s reality, this unification can be achieved only around a true program for a country, freed of the limits imposed by the Canadian political system. This historic agreement creates a new pole of unification for all those who are resolutely committed to this course. The unified party will be called Québec solidaire. The QS program on accession to independence is to be amended as proposed in Appendix 1 hereto. For the party program to fully reflect ON’s contribution, five proposals from the ON program will be included in the electoral platform to be addressed by QS in December 2017. The congress following the 2018 election will, in addition to adopting the party’s program on “national defense,” as provided by last May’s QS congress, will review the entire program with particular (but not exclusive) attention to aligning it with the ON program. The unified party will continue its participation in OUI-Québec when it resumes its proceedings. In the 2018 general [Quebec] election, the party spokespersons will support three candidates for nomination from ON, including at least one woman. One of these candidates will be the present leader of ON, who will be supported in contesting one of the 9 ridings considered most favourable by party’s election committee among those not already held by QS. This arrangement will be implemented by a mediation committee formed of ON and QS members and concerned local associations. In the 2018 general election, the unified party will present (a) a financial framework for the process of accession to independence, including the establishment of the Constituent Assembly; (b) a financial analysis showing the financial viability of an independent Quebec. And these documents will be developed by consulting economists designated by ON. Finally, the Canadian colonial regime will be ranked equal in importance with neoliberalism in the unified party’s public communications. ON will become a collective within QS. Its present funds will be integrated with the party’s but may be used to fund initiatives of the ON collective provided the executive first approves, until the 2018 election. The ON collective will have two positions on the national coordinating committee (a woman and a man) guaranteed for two years. QS will hire one person designated by the ON collective, who will enjoy the same conditions of employment as other employees of the party. A committee will be established to advise and accompany ON and QS associations in their fusion process. Local, regional and campus QS associations must be fully functional as associations of the unified party no later than the end of April 2018 to ensure full participation of ON members in deliberations of the unified QS national council to be held next spring. Every effort will be made to ensure that national commissions, theme commissions and working committees include members of ON who wish to participate. The ON collective will organize a “university” on independence in the spring of 2018. ON funds may be used to finance this event. The ON collective may organize this event each year, inasmuch as it is self-financed. The unified party will work closely with the ON collective to ensure that party members have available material promoting independence on a permanent basis, including the republication, reprinting and development of the Livre qui fait dire oui [the “Book that leads to a yes”], within the budgetary constraints of the party. The unified party will feature the current ON leader in its public communications and activities concerning the issues surrounding the independence of Quebec, and in particular in public presentations on the matter. The Québec solidaire program concerning accession to independence will be amended as follows. All amendments are underlined or crossed out. Amendment 1 Canadian federalism cannot fundamentally be reformed. Quebec cannot possibly obtain all the powers it desires, not to mention those that would be needed for the profound changes proposed by Québec solidaire. A Québec solidaire government will therefore implement the measures provided in its program irrespective of whether or not they are compatible with the Canadian constitutional framework. Amendment 2 A Québec solidaire government will propose, at the earliest opportunity, the adoption of a law on the Constituent Assembly defining its mandate, its composition and its process. Amendment 3 This law will declare the independence of the Constituent Assembly from the Quebec National Assembly and provide mechanisms to allow and promote the free expression of all tendencies within the Constituent Assembly and in the public debate surrounding the process. The Constituent Assembly, an affirmation of popular sovereignty, will simultaneously reaffirm the sovereignty peculiar to the indigenous nations. 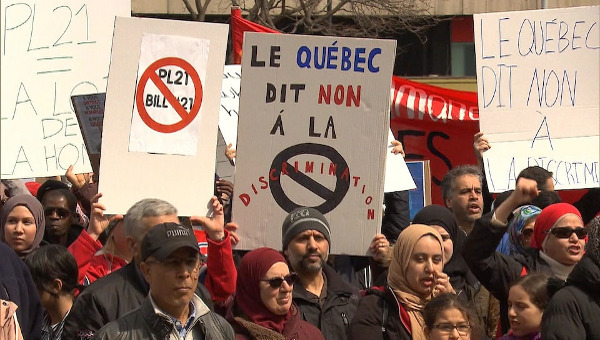 The Quebec National Assembly will invite these nations to join in this democratic exercise by whatever means they decide, including, if this is their wish, granting them a major place in the very framework of the Constituent Assembly. 2016-11.04 The mandate of the Constituent Assembly will be to develop a Quebec constitution specifying the values, rights and principles on which our common life is to be based, and defining its status, its institutions, powers, responsibilities and resources that are delegated to them. The mandate of the Constituent Assembly will be to develop a draft constitution of an independent Quebec, specifying the values, rights and principles on which our common life is to be based, and defining its status, its institutions, powers, responsibilities and resources that are delegated to them. The Constituent Assembly will be elected by universal suffrage and will be composed of an equal number of women and men. The voting procedure will ensure proportional representation of the tendencies and the various socio-economic walks of life present within Quebec society. In the election of this Constituent Assembly, candidates of all means and origins shall be allowed equitable access to the means of communication. Members of the National Assembly may not be elected to the Constituent Assembly, as participation in it requires that they be available on a full-time basis. After the election of the Constituent Assembly, it will have the responsibility and the means to conduct an extensive process of participative democracy aimed at consulting the people of Quebec concerning their political and constitutional future as well as the values and political institutions pertaining to it. Pursuant to the results of this process – which shall be publicized and which the Constituent Assembly will be obliged to take into account – the Assembly will develop a draft constitution. 2016-11.04 The draft constitution will be submitted to the people through a referendum, which will mark the end of the process. The draft constitution will be submitted to the people through a referendum, which will mark the end of the process. In order to ensure its plural and democratic character, and to fight against electoral fraud and outside interference, the government will ensure basic funding and strict surveillance of the campaigns to promote the respective options for and against the draft constitution. 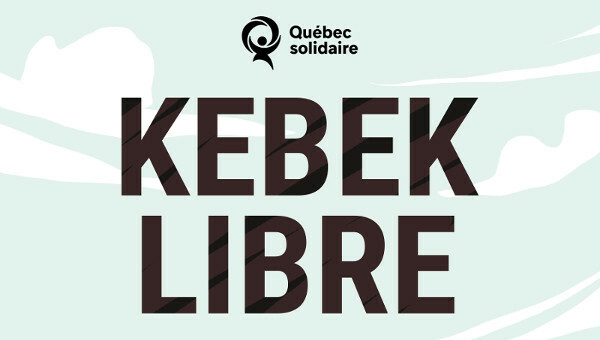 2009-05.21 (g) Throughout the Constituent Assembly process, Québec solidaire will defend its option on the Quebec national question and will promote its ecologist, egalitarian, feminist, democratic, pluralist and pacifist values without however presuming the outcome of the debates. 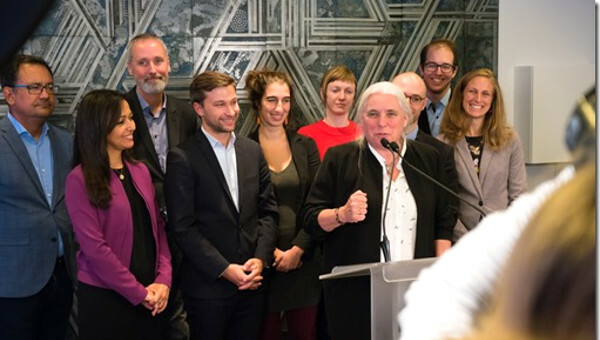 Throughout the Constituent Assembly process, Québec solidaire, as party, as parliamentary wing, and as government, will defend its option on the Quebec national question and will promote its ecologist, egalitarian, feminist, democratic, pluralist and pacifist values. without however presuming the outcome of the debates. “Option nationale et Québec solidaire ne font plus qu’un,” Le Devoir , December 11. Another scheduled guest speaker, Jean-Luc Mélenchon, leader of France’s new left-wing party, La France Insoumise, had to cancel his appearance but recorded a 15-minute video message to the congress. 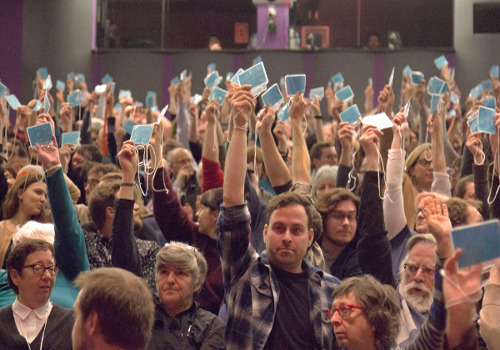 A public meeting in Montréal December 4 to hear the two CUP leaders drew more than a capacity crowd, many of them from Quebec’s Catalan community. “L’indépendance, un processus révolutionnaire,” L’aut’journal, No. 365, GND interviewed by Pierre Dubuc. 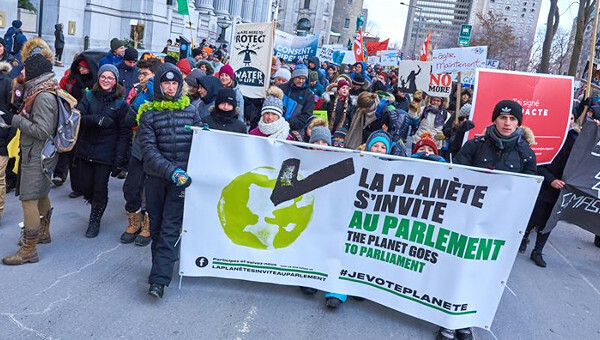 See “Québec solidaire: No to an electoral pact with the PQ, Yes to a united front against austerity, for energy transition and for independence,” Life on the Left, May 28, 2017. For a detailed account, with the text of the four-party statement, see my report on the May congress. See Québec solidaire: Au-delà du parlement, se donner le pouvoir de changer la société. See “En route vers un Québec indépendant, pluriel, solidaire et égalitaire,” by Bernard Rioux, Presse-toi à gauche , November 21, 2017. The full text is here (in French): drive.google.com.